In the early hours of 1 January 2009, Oscar Grant made his way home after celebrating the New Year with his girlfriend and friends in San Francisco. Grant, following his mother’s advice, had decided not to drive into the city and, instead, to travel home by train. However, a fight in the packed carriage led to the arrival of the police. Grant and his friends were detained on the platform of Fruitvale Station. Minutes later, Grant was shot in the back by Bay Area Rapid Transit policeman, Johannes Mehserle. He died in hospital. Oscar Grant was only 22 years old. For More Film Reviews, News And Cinema Events Click Here! After watching and enjoying Rocky revitaliser, Creed, I was interested to find (on Netflix) another film directed by Ryan Coogler and starring the charismatic Michael B Jordan. 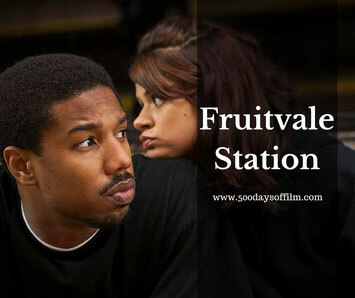 Fruitvale Station is a dramatic reconstruction of the last day in the life of Oscar Grant. This is a powerful and moving film. This is also a tragic story that needs to be told. And Coogler tells it superbly. The film shows us Oscar Grant the human - the son, the brother, the partner, the father - and gives him a voice. Michael B Jordan is brilliant (once again). He portrays all of Oscar’s character - both good and bad. We soon understand that Grant was no angel. He had a temper and had spent time in jail. However, Fruitvale Station also shows us that Grant was turning his life around. He was determined not to let his loved ones down again. We see him as a loving father, son, brother and partner. This, of course, just makes the film that much more poignant - we know what will happen in the end. By the end of Fruitvale Station, I was in tears. I just couldn’t believe what had happened. I knew it to be true - the start of the movie had shown me the mobile phone footage of the event. Yet I still felt shocked - how could this have happened? In addition, as the film includes the moving aftermath of Grant’s death, I found myself feeling angry - there is incredible injustice at play here. For this very reason, and so that we don’t forget what happened to Oscar Grant, Fruitvale Station is an important story and a powerful film. I highly recommend it. As I was watched Fruitvale Station, I couldn’t help but wonder what this film would have been like had it been a documentary. There are, after all, several video recordings of Grant’s killing and many, many witnesses to the tragedy. Might it have been even more powerful to listen to the testimony from his family - his mother, girlfriend and daughter? Of course, they might have found that too upsetting but they might also have appreciated the opportunity to tell the world about the real Oscar Grant. A documentary might also have answered some of the niggling questions that I had during Fruitvale Station. I kept thinking, how much of this is actually true? Was he really like that? How much is there purely for the drama and the storytelling? These niggling questions made me do some online research into the tragedy and into the film itself. It turns out that Coogler made up some scenes for dramatic impact (the scene with the dog for example). Those fabrications damaged the film a little for me, which is a shame. Have you seen Fruitvale Station? If you have, what did you think of this film?